Chauncy Dennison Harris was a pioneer and leader of modern geography scholarship. 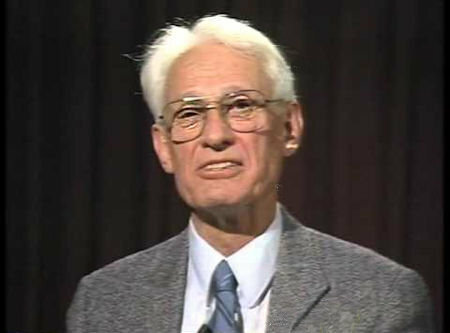 His seminal works in the field of American urban geography ("The Nature of Cities" and "A Functional Classification of Cities in the United States") along with his work on the Soviet Union during and after the Cold War era established him as one of the world's foremost urban geographers. He also made significant contributions to the geographical study of ethnicity, specifically with respect to non-Russian minorities living within the Soviet Union. Harris traveled regularly to the Soviet Union and played a key role in establishing a healthy dialog between Soviet and American scholars. Harris was born in 1914 in Logan, Utah. The son of a scientist and academician Franklin S. Harris, he showed an early interest in Geography, declaring to his family at the end of second grade that he was going to become a geographer. He graduated from Brigham Young High School in Provo in 1930. He received a B.A. from Brigham Young University in 1933. The valedictorian of his university class, Harris became the first Rhodes Scholar from BYU. The scholarship took him to Oxford where he completed a second B.A. as well as a Master's Degree. He also received an M.A. from the London School of Economics before returning to the U.S. 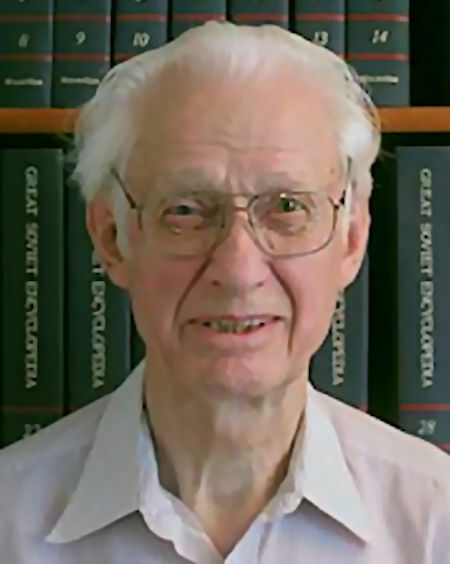 He completed his Ph.D. at the University of Chicago in 1940. His dissertation was entitled, "Salt Lake City - a Regional Capital in 1940." 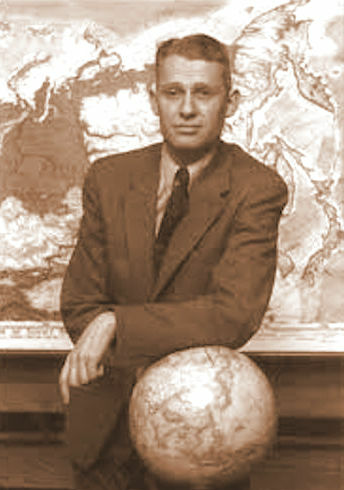 After brief stints at Indiana University and the University of Nebraska, Harris was appointed Assistant Professor of Geography at the University of Chicago in 1943. Around this same time he was called into military service with the U.S. Department of State, Office of the Geographer. In Washington he became intrigued by the mystery surrounding the Soviet Union. He started studying Russian and exploring the available cartographic and statistical information about the country. He published his first two works on the Soviet Union in 1945. His early work in this area left him well prepared in the late 1950s when the Soviet Union began opening up to foreigners. By the time of his first visit, he was already a well established and respected expert in the field. Over the course of his career, he made 14 trips to the Soviet Union and played an important role in fostering and promoting collaboration between American and Russian geographers. In addition to his work on the Soviet Union, Harris made several important contributions to the field of American Urban Geography. In particular, in 1945 he wrote The Nature of Cities with Edward Ullman. The paper, published in the Annals of the American Academy of Political and Social Science, described the Multiple Nuclei Model of Urban Development, which had prophetic relevance for understanding American cities in the later 20th century. 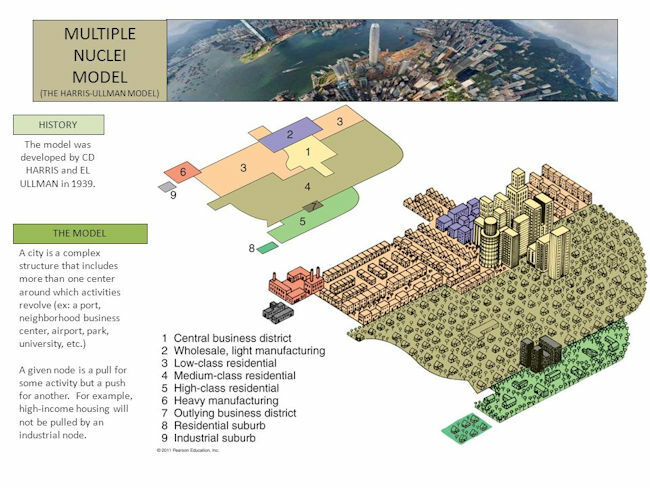 This model gives a suggestion as to the possible land use within a city. It is an alternative model to the Concentric Zone Model and the Sector Model. During his professional career Harris held a number of important and prestigious positions including Dean of the Division of the Social Sciences at the University of Chicago (1954-1960). He served on the University of Chicago faculty from 1943 to 1984 and then continued as the Samuel N. Harper Distinguished Service Professor Emeritus in Geography until his death in 2003. He was survived by his wife of 63 years, Edith Young Harris; a daughter, Margaret Harris Straus, of Philadelphia; her husband, Philip A. Straus, Jr.; grandchildren Miriam Harris Straus and Peter Harris Straus; and sisters Leah Harris Jensen of Pocatello, Idaho, and Mildred Harris Bradley of Salt Lake City, as well as numerous nieces and nephews. A memorial service was held at Montgomery Place, 5550 South Shore Drive, in Chicago, on Sunday, January 11, 2003. The family suggested that contributions in his memory could be made to the University of Chicago Library, Chauncy D. and Edith Y. Harris Book Fund, 1100 East 57th St., Chicago, Illinois 60637.